Our team at Greenline Dental Centre , your favorite Coquitlam Dentist, shares a passion for staying on the forefront of the healthcare field as modern dentistry evolves in knowledge, treatments and technology. 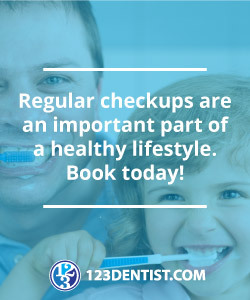 Emerging health research has confirmed that excellent oral health is integral to the maintenance of good general health. Evidently, this link is even more important for people with diabetes. According to the American Diabetes Association emerging research suggests that the relationship between serious gum disease and diabetes is two-fold. Not only are people with diabetes prone to gum disease, but also gum disease may potentially affect blood glucose control, which contributes to the progression of diabetic conditions. If you are a diabetic and your blood glucose levels are out of control, you are more likely to develop serious gum disease and lose teeth than our patients who don’t have diabetes. Like all infections, serious gum disease can be a factor in causing blood sugar to rise and thus make diabetes harder to control. These findings are recent and potentially groundbreaking in nature. So, if you have diabetes, a lack of proper care for your teeth and gums can increase your chances of diabetes complications. The key steps to help our diabetic patients maintain healthy teeth and gums include: 1) Managing blood glucose levels, 2) Visiting the Greenline Dental Team twice a year, 3) Keeping us informed of how well your diabetes is in control, 4) Routine brushing, flossing and customized care as directed, 5) Not smoking 6) Awareness of gum disease warning signs such as bleeding gums, tender gums, gums that have pulled away from teeth or loose teeth. Greenline Dental is concerned with every aspect of our patients’ health, and partners with you in order to restore and revitalize your overall heath through the best in preventative dentistry and advanced restorative dentistry. If you have diabetes, speak to an Greenline Dental team member about how we can best protect your oral and overall health.